“Don’t throw out the baby with the bath water”. I’ve heard that saying a lot in my career. It seems to be a staple in the conventional marketing vernacular. It’s actually a horrible saying. I mean, the idea of “throwing out” a baby is really terrible. I guess that’s why they never say throw out the baby but save the bath water. But, I think marketers need to retire that saying. To me, it means that if what we’re doing isn’t working, let’s keep doing it anyway. Just make some minor tweaks and it will definitely start working. That logic is usually misguided. If an idea or program isn’t working, it’s probably not going to work. No matter what you do to make the logo bigger or make the message clearer, the core idea might just be rotten. It’s hard to admit a mistake. Or walk away from something you invested a lot of time, energy and money in. But sometime, that’s the best way forward. When I started at PGi in July 2012, I inherited a big website development project that had been in the works for several months. The site was mostly designed and we were on to the development phase. As I got deeper into the project, I started seeing some significant problems. The build-out of the content management system (CMS) wasn’t matching the original concept that we had approved. The site that was very elegant in the design prototype seemed clunky in the CMS. I kept getting reassurances that it would be perfect by the time it launched. So, we kept moving forward with the implementation. But, I just wasn’t seeing the progress. By the time we were supposed to launch, the site still wasn’t working the way it was supposed to. But, I really wanted to hit our go-live date. So, I made the call to launch the site “as-is” and we’d quickly make fixes after was the site live. At the time, this seemed like the right thing to do. I didn’t want to let perfect be the enemy of good. But, I underestimated how difficult it would be to make the necessary fixes. When we launched the site, we encountered a series of major issues. The site was very slow. It didn’t work in well in certain browsers. Then we started seeing the site go down for extended periods of time. That’s a very bad thing. We had several all-hands calls and locked a team of developers in a conference room for a week to try to fix the problems. In some ways we were able to stop the bleeding, but the site just wasn’t working right. One of the reasons you implement a content management system is to easily make ongoing changes and updates to the site. To keep it current and fresh. But, the way they developed this content management system was very rigid. It was extremely difficult to do anything other than the most minor edits to the site. One day I asked my web content manager if he could add a simple hyperlink to another page on the site. He said I couldn’t do that because the CMS wasn’t built with the capability to add hyperlinks. Of course, because why would you need ever need hyperlinks on a website? We tried and tried to make the website work. But, we just weren’t making progress fast enough. I could see us spending months of work and tons of money trying to get this thing right. I realized that I had bought a lemon. No matter how many mechanics I took it to, there was something broken that we couldn’t fix. It’s hard to throw away a year of work. We had spent a lot of time, energy and money to develop that site. I know my finance team wasn’t happy when I told them we were doing a complete rebuild. But, we really didn’t have another choice. We needed to move on quickly. For a software company like PGi, having a strong digital presence is critical. In our category, 75% of prospects visit the website of the product they’re considering prior to purchase. So, if our website’s not working, it affects our ability to sell. We knew the longer we waited, the more opportunity we would lose. Having lived through the development of the broken website, we knew the mistakes we had made. So, we set out to avoid them with the new build. 2) Easy to manage: The current CMS was way too complicated. You needed a technical developer to do anything within it. We wanted a CMS that would be easy to use so we could reduce our dependence on developers and have marketing managers make content changes on-the-fly. 3) Flexibility: The current site limited our ability to add content that wasn’t in a defined template. We wanted the new site to give us the ability to add pages and content to the site without constraints. 4) Optimized for search: The current site was not well optimized for search. We wanted a site that would be easy for search engines to find and index so we could improve our ranking for key terms. We also didn’t want to go through a long drawn-out development process with multiple agencies and vendors. So, we wire-framed the entire site and wrote all the copy for the site internally. (I personally wrote about 80% of it). Then we engaged a small local web dev shop to help with styling and build it out. We ended up building the site in WordPress since that’s one of the easiest and most universal CMS platforms out there. The entire project was completed in less than six months and cost just a fraction of what the previous site cost. Since the site launched, we’ve seen immediate results. Our site has leapt up the search engine results and traffic has increased almost 30%. So, now we’re in a much better place with our website. 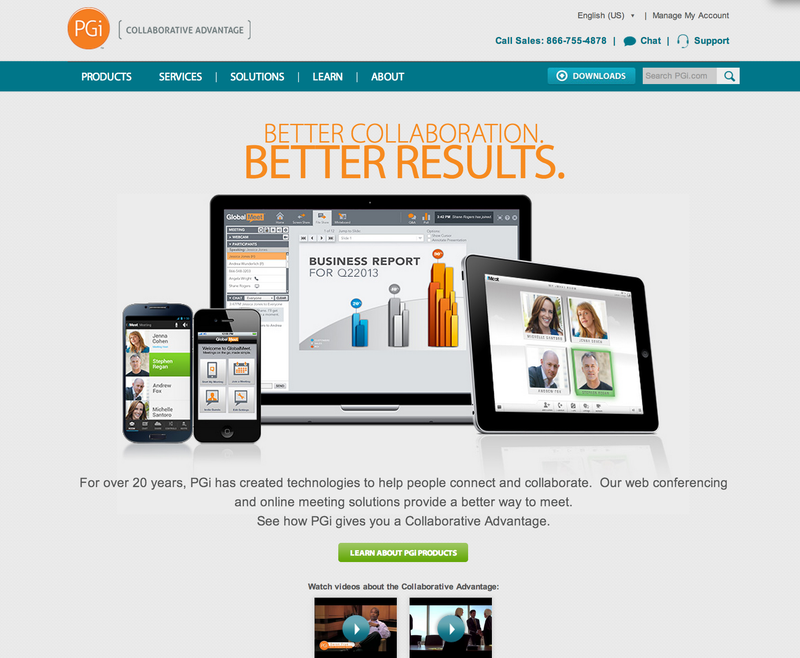 You can check it out here at: http://www.pgi.com. The lesson for me was that you have to admit mistakes and move quickly to fix them. That can be a very hard thing to do. But, sometimes the only way to fix the problem is to start over from scratch. In other words, you have to throw out the baby AND the bath water.